Woahh! 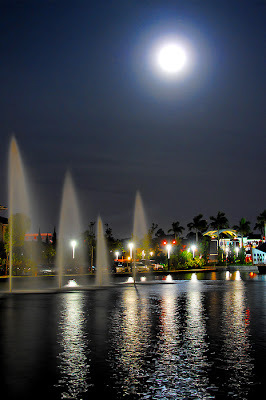 ~ I've just set foot on Friendship park or more commonly known as Taman Sahabat in Malay.It was kinda surprising initially as I didn't picture the park to look like this. Never did I know that this park was all along in my own backyard and i didn't realise it. By the time I arrived here it was cloudy and about to rain, luckily I was in time to snap a few shots before it rained. 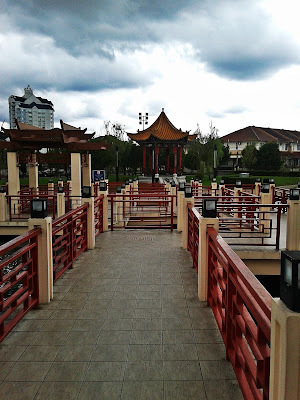 This park was created for the commemoration of the Malaysia-China diplomatic relations and symbolizes the friendship of the people of these two Cities and the exchange of their political, economic and cultural ties. 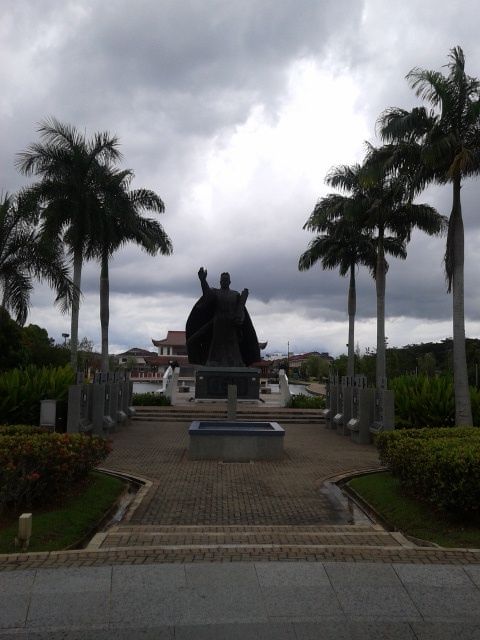 Zheng He was an admiral and explorer of Ming Dynasty of ancient China who visited Malaysia very long time ago. He started the world’s first biggest naval expedition in the 1405, a century ahead of Christopher Columbus. Zheng He was in-charge of 500 court maidens together with a princess called Hang Li Po to marry the Sultan Mansur Syah of Malacca. 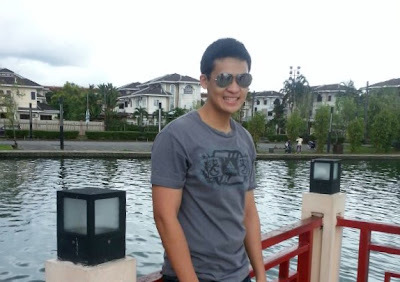 They eventually settled in Bukit Cina in Malacca. The male and female descendants of these people from mixed marriages with the local natives are known today as the Baba and Nyonya respectively. 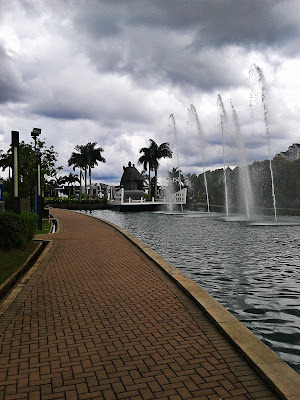 The moment I set foot on Friendship Park, I was amazed at how beautiful and well-maintained the park was kept. My first impression was that I was in China. As you can see in view is the Floating Restaurant, which sadly isn't operating now. Nevertheless, the view of the restaurant is breath-taking especially in the evening. This is actually my first time at Friendship Park and i was honestly amazed to see it. 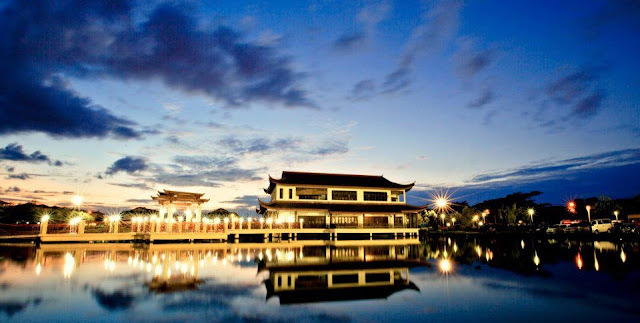 A friend of mine was suggested me to visit this place and as I was in Kuching, I decided to drop by. A zig-zag bridge can be seen here, and i think it is to imitate the pathways in China. 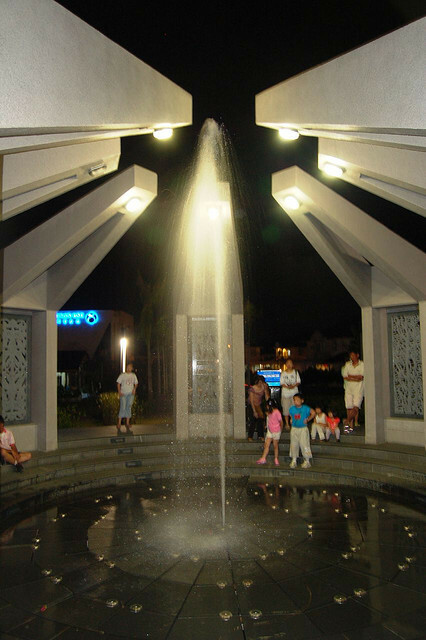 The water-fountain displays at night, never fails to awe the little children and even adults. I was glad that I did drop by park. Located somewhere near a housing area, one can easily overlook this park as how I had. My friend and I even went on the zig-zag bridge, and we had loads of fun that evening. Thus, that concludes my trip to the Friendship Park, which no doubt is one of the most breath-taking park that i have ever been to. I wouldn't mind going for a jog here again. The sunset view is very coool.